Stretched over 1500 kilo meters with over 8 million population London, the Capital of England is set over River Thames in real life. The London City at Second Life has tried to bring a small part of London’s favorite attractions for its residents. 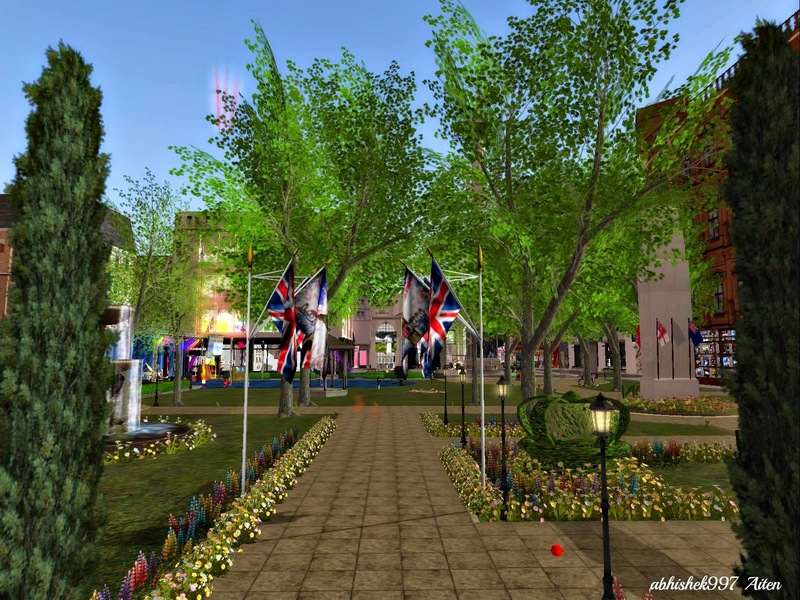 Torric Rodas and Billy Arentire have tried their best to bring and relive London in Second Life. A community in itself, London City is one of the most favoured destinations in Second Life. With total traffic over 78,846; over thousands of residents visit the place every day. There are residential properties and commercial complexes which attract people from all over the world. It was in the evening, the sun was going down and a rainbow drew its colors across the skies. The shimmering, glistening water invited us to try boating along the river. Ironically, another nursery rhyme purged my thoughts, “Row your boat gently down the stream merrily life is but a dream.” Following the river, we crossed the bridge, entering the shopping society. Shops ranging from clothes, skins, shapes, make ups, accessories etc. scored the area. Few main stores and few satellite shops with a total of 70 shops are located in the area. After a row of shops, residential apartments and complexes start. One may rent these apartments and houses or rent a parcel of land. The available properties with variable prices and prims to rent are available here http://mainlandlondon.blogspot.co.uk/p/rentals.html. London City closely follows the real life events at London as they happen. The major attractions are The Crown Pub, Juiced Nightclub, Substation Nightclub, Worlds End Pub, Madame Lala’s London Revue Bar, Regents Park Hub, Regents Park Shopping Mall, Regents Park Freebie Megastore, Concert Area, Trafalgar Square Nelson’s Column and the Broadcasting Centre in the Soho and Regents Park area at London City. In North London City, various plots are available to Build Your Own Home, Churchill Arms Pub, Highgate Cemetery, The Boat Lake and The Litter Bin is located. In the West of London City, we can find the residential houses; park and picnic area and the unpacking area or the sandbox can be found. The landmarks to these destinations can be viewed here http://mainlandlondon.blogspot.co.uk/p/mainland-london-destinations.html. Among the above, newest attractions that have been added are the Broadcasting Centre, Litter Bins and the High Gate Cemetery. The litter bins amused me the most as they are spread across the area where people might throw away amazing things, sometimes even dump money. It is kind of fun to check these bins around the land. To sum up, London City is a great place to meet and greet, have fun or event go hunting and shopping. Walk along the roads, row a boat or travel in tour buses to explore, visit or live here.